Morning Assembly could be lining up at Aintree this April for another crack at the Randox Health Grand National. Following his imminent trip to Cheltenham next month. Pat Fahy’s 11-year-old Gelding keen to impress this year, having notably finished 3rd in the 2014 RSA Chase and 4th in the Ultima Handicap Chase at the 2016 Cheltenham Festival. He also secured an eighth-place finish in the Grand National two years ago. Although since he has not appeared on a racecourse with his only runs having been in two point-to-points this season. He currently sits 69th in the list of entries with no guarantee of making the 40-strong line-up. Fahy however, is confident that he will be given the call to line up once again in the Aintree marathon. Firstly, he will run in the Foxhunter Chase at Prestbury Park on Cheltenham Gold Cup day. Meanwhile, Master Dee is ‘very unlikely’ to run at Cheltenham but he may well line up over the Grand National fences following a victory at Kempton. The Fergal O’Brien-trained 9-year-old who landed the Betadaq Handicap Chase under Barry Geraghty, now looks head to Merseyside to contest the Topham Chase on Ladies Day. 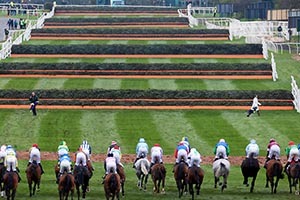 Keep up with the latest Grand National Runners News and Updates for 2019. 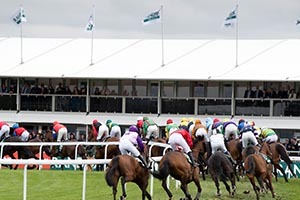 Experience Grand National 2019 in luxury with our exclusive hospitality packages and tickets. Enjoy a marvellous racing experience at Aintree this year with our stunning corporate hospitality packages and VIP tickets. Savour fabulous food, complimentary drinks throughout and the very best views of the iconic racetrack.